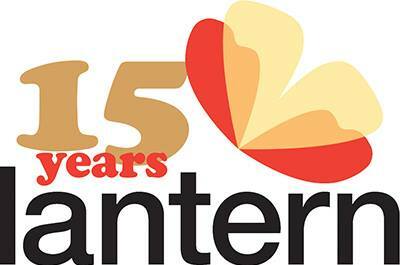 In September 2014, my colleague Gene Gollogly and I celebrated fifteen years since we founded our publishing company, Lantern Books. We organized a party at our favorite local bookstore, BookCourt in Brooklyn, and combined the festivities with a launch of one of our recent titles: Running, Eating, Thinking: A Vegan Anthology. Before the contributors to the anthology spoke, I gave a short speech describing our company, an excerpt from which I thought I’d share with you. Thank you for coming out tonight and joining us in our celebration of fifteen years of being in, what is loosely called, the publishing business. When Gene and I began this venture in 1999, we had only an inkling of the seismic changes the book world would undergo in the next decade and a half. Individuals now have more choices than ever on how they garner information or are entertained; readers can now access more text from more sources and read it through more media than was once imaginable (except perhaps to Jorge Luis Borges! ); and how much folks are willing to pay—if anything—for that data remains a contested issue among purchasers, retailers, producers, and consumers. Through these years, Gene, Kara Davis, Evander Lomke, and I have tried to focus on the fundamentals: producing works that will inspire and challenge our readers while ensuring that our small, independent company sets a fair course through the turbulent waters of the book trade. I’m pleased to say that not only have we published over 250 titles (and distributed hundreds more), but we’ve paid our bills, royalties, salaries, and health insurance, and we’re not in hock to a bank or a venture capitalist. We’ve also maintained our commitment to the environment, by using certified and recycled paper and print-on-demand technology, sourcing our office energy from windpower, and composting our food scraps. We’ve also relied on our authors to promote their work, and I’m delighted to say that the great majority of our authors have now fully recovered from the injuries they sustained during the production process. And we’ve depended on you, our readers. Without you, we would literally not exist. Whatever the issue, Lantern has sought to address it in a manner that contributes in some way to a lessening of the infliction of harm upon the animate body and the body politic. That we’re still here is a testament to you, our readers and supporters, and to the need for our work to continue. This entry was posted in Editing—Publishing—Writing, Publishing and tagged International Authors, Lantern Authors, Lantern Books. Bookmark the permalink.